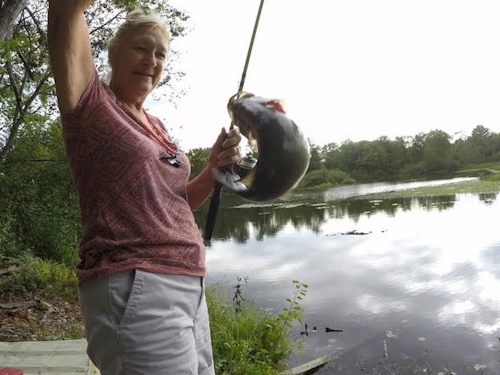 Enjoy some of the best sport fishing in America – and soak up nature at its finest – Our lodge provides the ideal base for your vacation in beautiful Pulaski, New York, you can choose fishing on Lake Ontario or the Salmon River, canoeing on Grindstone Mill Pond, or hiking in the surrounding woods. At the end of the day, return to the friendly hospitality of Feeder Creek Lodge and revel in the tranquility. Want to land trophy salmon or trout ? Your expert guide (and host) Captain Bill leads fishing trips for guests – save $50 when you combine your stay at Feeder Creek Lodge with a Lake Ontario Charter Fishing Trip. At Feeder Creek Lodge, guests can map out the days adventures over (free) coffee in the kitchenette, or trade tales on the screened-in patio as the sun sets. Captain Bill who built the wooden lodge in 1990, has created a warm and welcoming retreat, where guests can be as active or relaxed as they like. Private rooms rooms with shared living spaces mean friendships can be made or fishing tips traded over a crackling fire or shared meal. There’s also an outdoor gas grill, fire pit, and horseshoes for guests to enjoy. 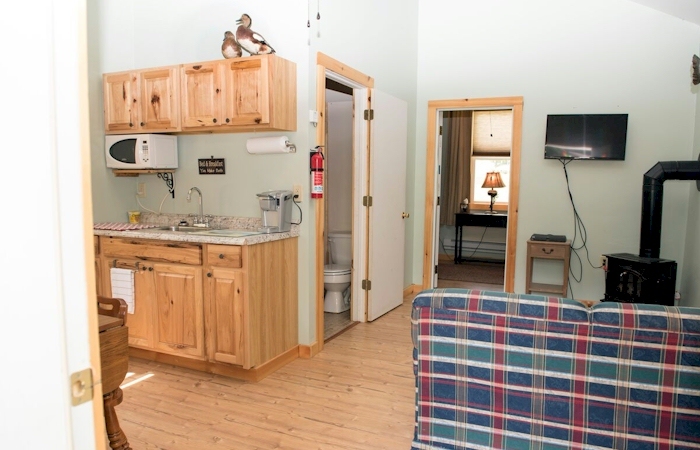 Vaulted ceilings, authentic lodge touches (like checked curtains , quilts on the beds, and adirondack chairs surrounding the out door fire pit, plus free wifi and cable TV, mean guests can unwind in real county comfort. 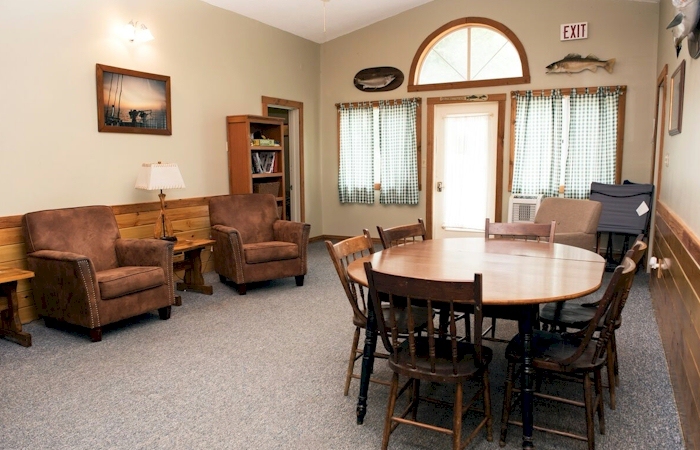 With 6 rooms to choose from Feeder Creek Lodge offers flexibility for individuals or groups. 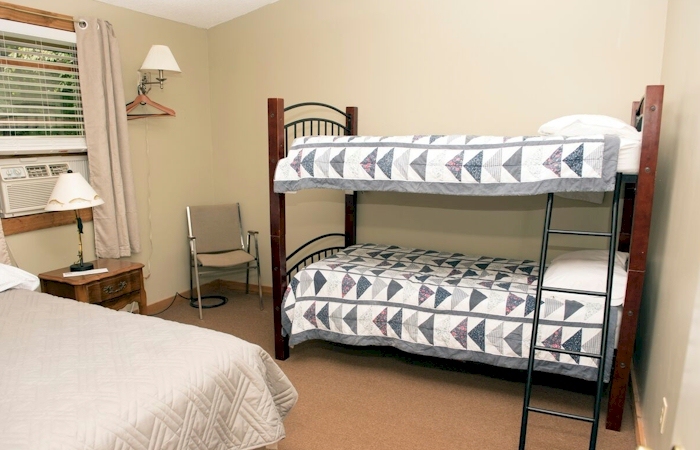 Four guest rooms have 2 twin beds, and 2 rooms have a double bed and a set of bunk beds making them ideal for families. 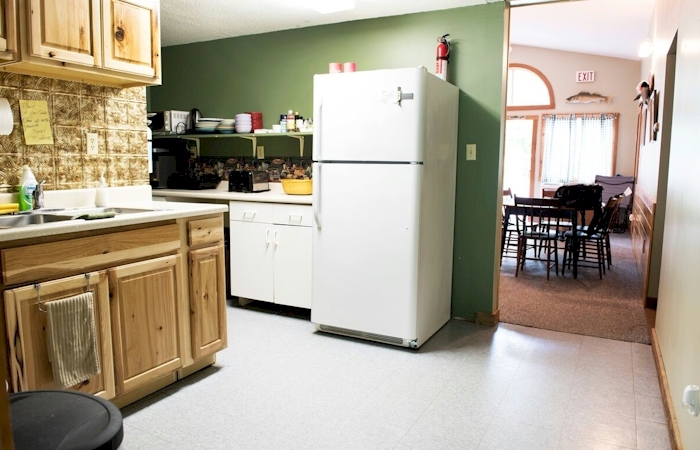 Daily housekeeping and continental breakfast are included. 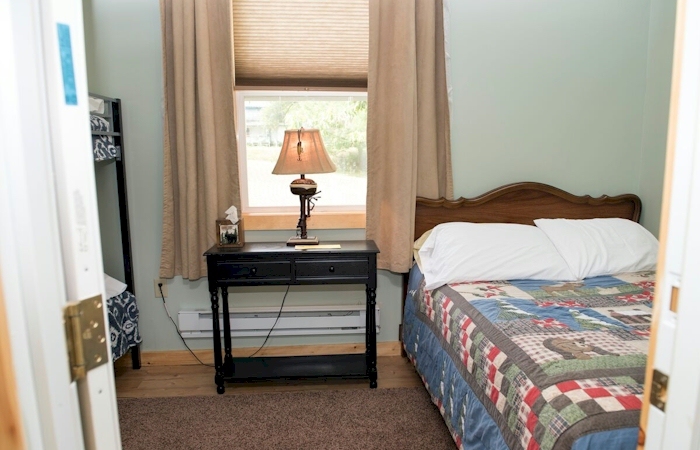 Nightly or weekly rates are available. Ask us about discounts for groups (up to 14 guests) renting the entire lodge for their exclusive use. 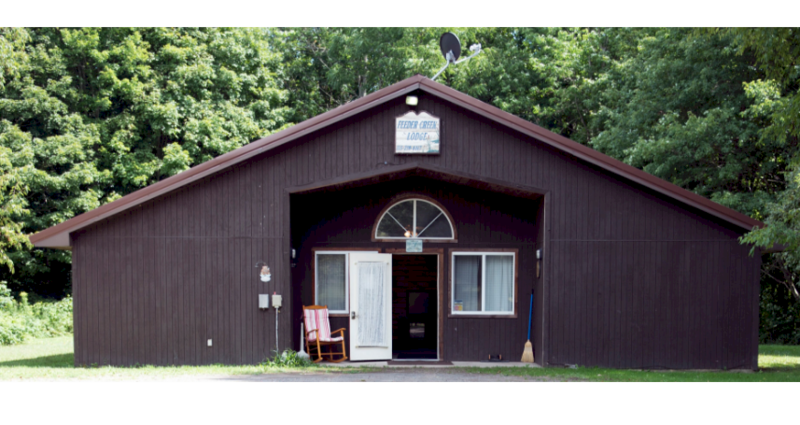 Nestled between Lake Ontario and the Tug Hill region, Feeder Creek Lodge is perfectly located for a nature lover’s getaway. 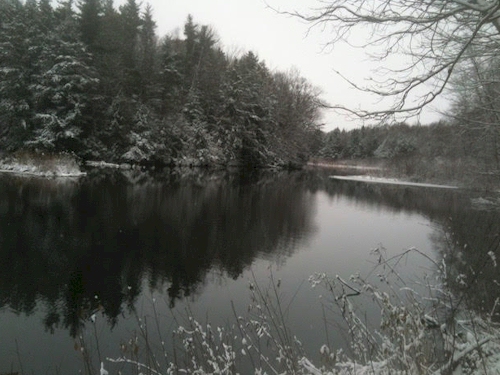 Nearby Salmon River is a favorite for salmon fishing, kayaking, and river rafting. 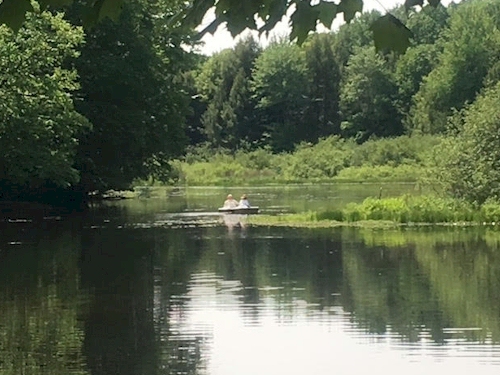 Or try canoe fishing fishing on Grindstone Mill Pond. In winter , our lodge is the perfect base for cross- country skiing and snowmobiling. For dry- land fun, walk the woods, explore the area’s past at the pulaski Village Historic District, or check out the 19th century Selkirk Lighthouse (with its original bird-cage lantern). Upstate New York is laid-back with friendly locals and plenty of activities to choose from. Whether you’ve spent your day out on the water or roaming the hills, you’ll be happy to return to Feeder Creek Lodge and it’s peaceful setting and friendly conversation. 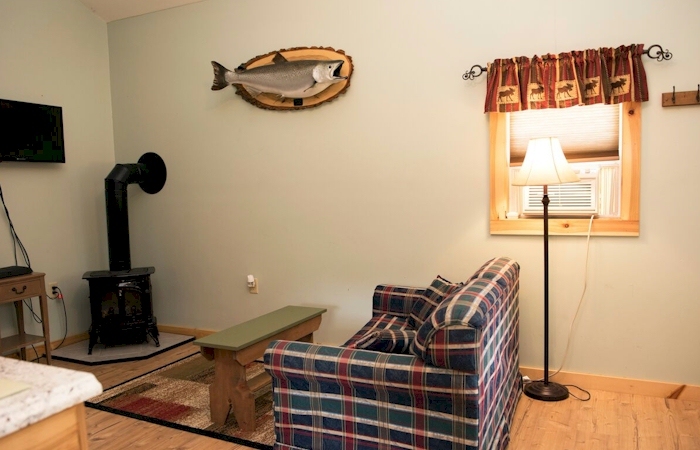 The rate for rooms in the lodge is $40 per person per night with two persons per room..
To Book a room for single occupancy the rate is $60 per night. The off season (March through June) weekly rate for seven nights is $250 per week for one room with one or two guests. If you wish to reserve the lodge for the exclusive use of your party up to 14 persons the cost is $480 per night. All lodging must add a 12% state and local tax. We like to encourage our customers to bring children with them. If you have children in your group call us and we will give you a special quote. Full bath with shower, combination living room and kitchenette. Occasionally we get an inquiry about our lodging but they want something with more privacy. So to accommodate these customers we decided to build a cabin that would be suitable for couples, a family, or a small group. In the fall of 2012 I had a local builder put in the concrete pad and do the framing. After that work was finished with lots of help from my son, my nephew, and a couple of friends we managed to finish construction in the summer of 2013. Barbara and I are extremely proud of the way it turned out it is very cozy and comfortable. We ended up with one bedroom, a full bath with shower and a combination living room and kitchenette. A sink and what you need to properly prepare a meal. For one or two guests the nightly rate for the cabin is $100.00 per night plus 12% state and local tax. Each additional guest after two is $40 per night plus tax. The cabin will accommodate a total of four guests. 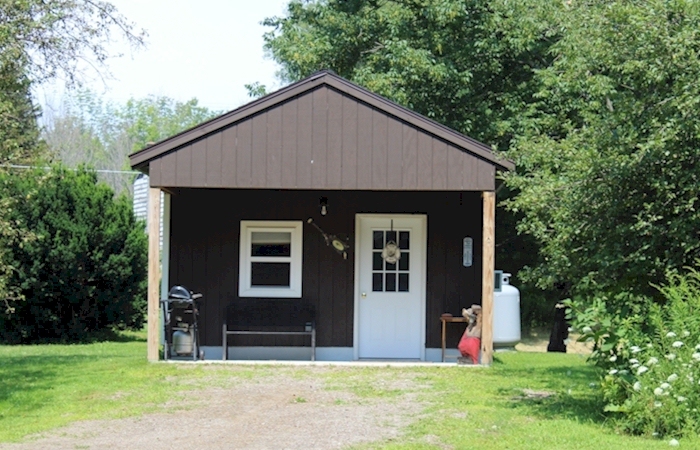 The weekly rate for the cabin for two guests is $350 plus tax, for each additional guest add $50 per week plus tax. Maximum number of guests is four. Feeder Creek Lodge is where you can enjoy a rest in the country undisturbed by the commotion of city life. It is very hard to put a label on exactly what feeder Creek Lodge is. It is not a Bed and Breakfast even though you get a continental breakfast. It also isn’t a hotel or Motel it is way more than that. 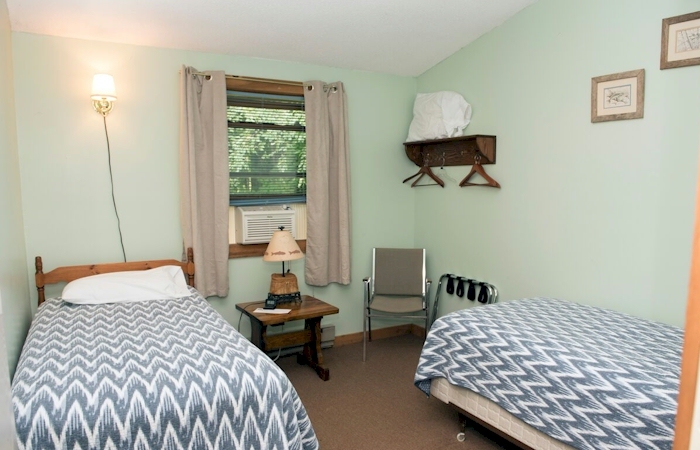 You may rent one or more of our clean, comfortable rooms (complete with linens), which includes a shared great room, kitchenette, screened in porch, and two modern baths (including towels).